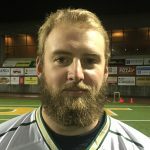 A quartet of Hogs were named to the 2016 All-Western Collegiate Lacrosse League team, led by three-time first-team attack Cole Aylward. 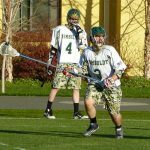 Senior attack Sam Barton and junior goalie Dillon Sheedy were recognized with second team all-conference spots; senior defenseman Keenan McCarron earned honorable mention in his final year with the Hogs. 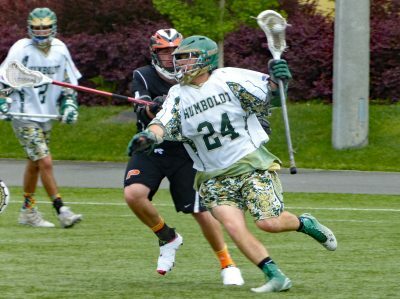 A MCLA All-American in 2014, Aylward ends his stellar run as the all-time points leader in modern Humboldt lacrosse. In 37 career games, he recorded a staggering 111 goals and 90 assists. Basically, every time Aylward stepped between the lines, he was good for a hat trick and at least two assists. Besides being HSU’s points leader for three of his four seasons, Aylward led the conference twice (2016, 2014) in points per game. The two other seasons? He finished second and third. In 2016, he was the fourth highest scorer in WCLL Division II despite only suiting up in seven games. Three others WCLL D2 players also scored 44 points during the season, but it took two of them 16 games each to reach the same number as the San Diego product. Balok said what makes Aylward so good is his love of lacrosse and not being afraid of working hard to become better. 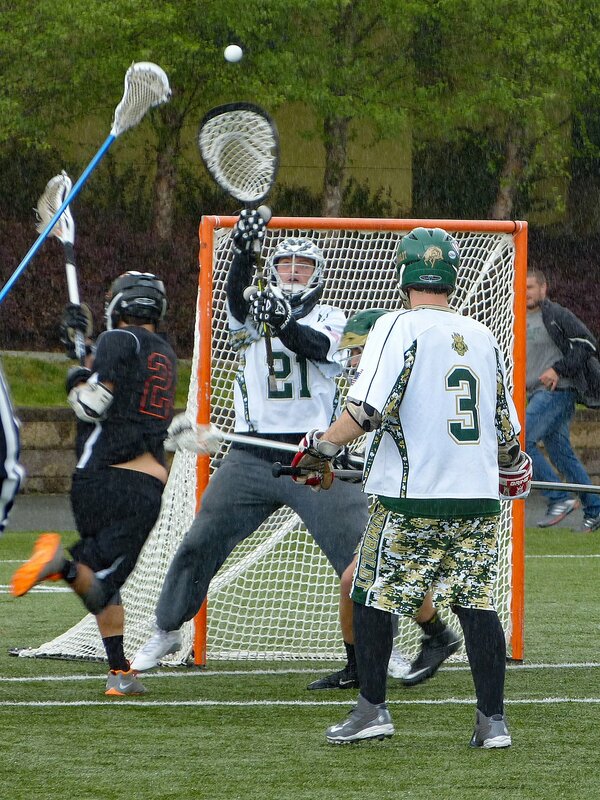 Dillon Sheedy continued to improve with each season as the Hogs’ goalie. In 2016, he was named to the second team after leading the WCLL in saves per game (18.27), and was second in saves (201) with a 57.3% save percentage. 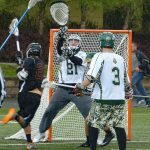 In 2015, he earned All-WCLL honorable mention for his work between the pipes and All-Academic honors for his work between the ears. A second-generation Hog, Sheedy was elected as a team captain his first year with Humboldt. In 2016, the Truckee resident added club president to his resume. Sam Barton returned to the field for the Hogs after a two-year absence to grow his beard out. The team’s second-leading scorer, Barton booked 26 points in 11 games (14 goals, 12 assists) on the way to his second trip to the all-WCLL second team. 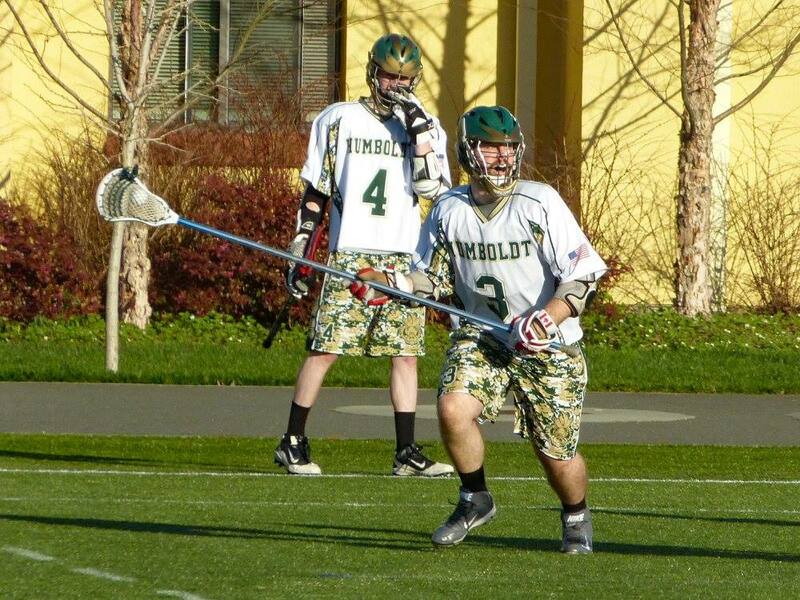 The 6-foot-4 attack from Tamalpais played three years with Humboldt, scoring 62 goals and 40 assists in 33 games. Defenseman Keenan McCarron has been a stalwart of the Hogs defense for the past four seasons. 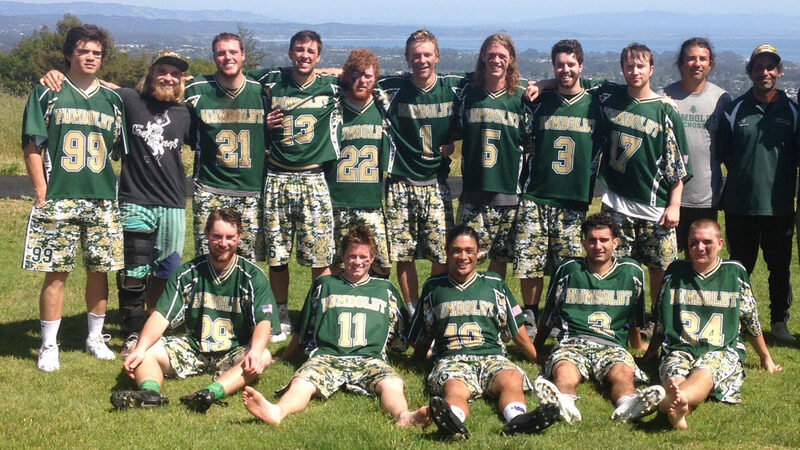 The San Marin High alum overcame breaking his hand during a fall ball tournament and ended up collecting a career-high 31 GBs in 2016.